MIKOH Corporation Limited, a specialist in providing high-security RFID solutions, has entered into an agreement with Australian specialist logistics and integrated systems company, Dexion Limited. The agreement provides for MIKOH to be the exclusive supplier of high-security RFID-based solutions to meet the requirements of Dexion’s customers in supply chain, logistics, and distribution markets, while Dexion has been granted exclusivity for the use of Smart&Secure-based solutions in these markets in the geographies in which it operates, being Australia, ASEAN, China, Korea, and the Middle East. MIKOH works with customers to design and implement physical security systems to track, seal and/or monitor valuable assets. Both RFID and non-RFID in nature, MIKOH solutions align proper business processes and labelling technologies to ensure assets are effectively managed with certainty. MIKOH’s Smart&Secure tamper-evident technology provides physical security certainty for RFID tags. Physical security for RFID is vital in applications where the compromise of sensitive assets results in commercial and/or revenue loss. These applications include government asset tracking, vehicle identification, pharmaceutical distribution and more. Smart&Secure is flexible, scalable and easily integrates into any RFID system. The company has offices in Melbourne and Sydney in Australia, and McLean, VA and New York, NY in the USA. 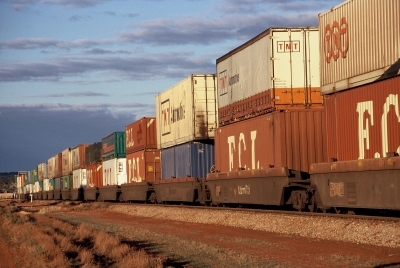 Dexion is an Australian integrated storage and automated systems provider. The company was founded in 1947, and listed on the ASX in 2005. It is based in Sydney, with operations spanning the Asia-Pacific region and the Middle East. Revenue in 2007 exceeded $250M.